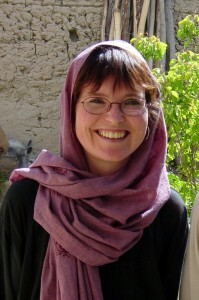 A funeral for Dr. Jackie Kirk – the McGill adjunct professor and international aid worker who was slain by Taliban insurgents in Afghanistan on Aug. 13 – will take place Friday, Sept. 5, in St. Andrew’s Church, Norton, Bury St. Edmunds, Suffolk, UK, at approximately 1 p.m. local time. Family, friends and colleagues are all welcome to attend, but members of the press are respectfully requested to remain outside the church. A separate memorial ceremony will be held at McGill University’s Redpath Hall on Tuesday, Sept. 16, at 3 p.m. local time. The public is welcome to attend this ceremony, but space will be limited. On Aug. 13, gunmen opened fire on a pair of SUVs driving in Afghanistan’s Logar province, southeast of Kabul. They killed three unarmed aid workers and a driver from the New York-based International Rescue Committee (IRC). Kirk, who had just been appointed Adjunct Professor in McGill’s Faculty of Education, was one of the IRC workers who died in the attack, along with her colleagues Nicole Dial, Shirley Case and Mohammad Aimal. The Taliban quickly claimed they were responsible. Dr. Kirk is survived by her husband Andrew, an Associate Professor of Electrical and Computer Engineering at McGill’s Faculty of Engineering, and Director of the McGill Institute for Advanced Materials. J e me souviendrai toujours de Jackie, une femme affable et travailleuse!! Nous avons travaillé ensemble à Kandaji/Tillabéry/Niger dans un projet “d’un fleuve à l’autre” de l’Union Saint Laurent Grans Lacs avec l’ONG EIP/NIGER EN 1996!! !